While the feature still isn’t perfect, is a big step forward for the app. This is especially true if you use it for note taking and not necessarily task items (Google Tasks somewhat overshadows Keep now for that use case). One thing that isn’t there is easier keyboard usage on the web. You still have to click-and-drag to make the indention instead of, for example, being able to use the Tab key to move it over. Dragging makes sense on mobile but not so much on the web. 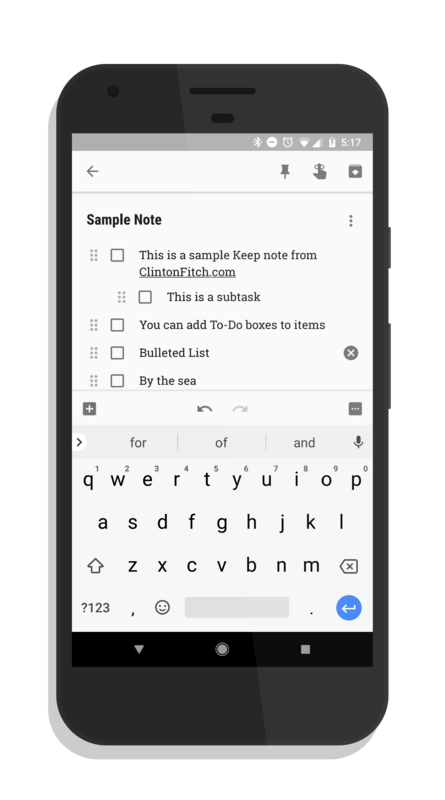 Despite that limitation, this is still a welcome update to Google Keep that will allow you to organize your tasks or lists a little bit easier. The app update is in the Play Store now and already functional on the web.